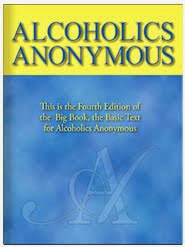 The Alcoholics Anonymous program has borrowed from medicine, psychiatry, and religion. It has taken from these what it wanted and combined them into the program which it considers best suited to the alcoholic mind and which will best help the alcoholic to recover. The results have been very satisfactory. We do not try to improve on the A.A. program. 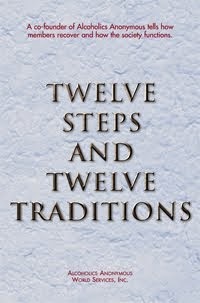 Its value has been proved by the success it has had in helping thousands of alcoholics to recover. It has everything we alcoholics need to arrest our illness. Do I try to follow the A.A. program just as it is? You should strive for a union between your purposes in life and the purposes of the Divine Principle directing the universe. There is no bond of union on earth to compare with the union between a human soul and God. Priceless beyond all earth’s rewards is that union. In merging your heart and mind with the heart and mind of the Higher Power, a oneness of purpose results, which only those who experience it can even dimly realize. That oneness of purpose puts you in harmony with God and with all others who are trying to do His will. I pray that I may become attuned to the will of God. I pray that I may be in harmony with the music of the spheres.